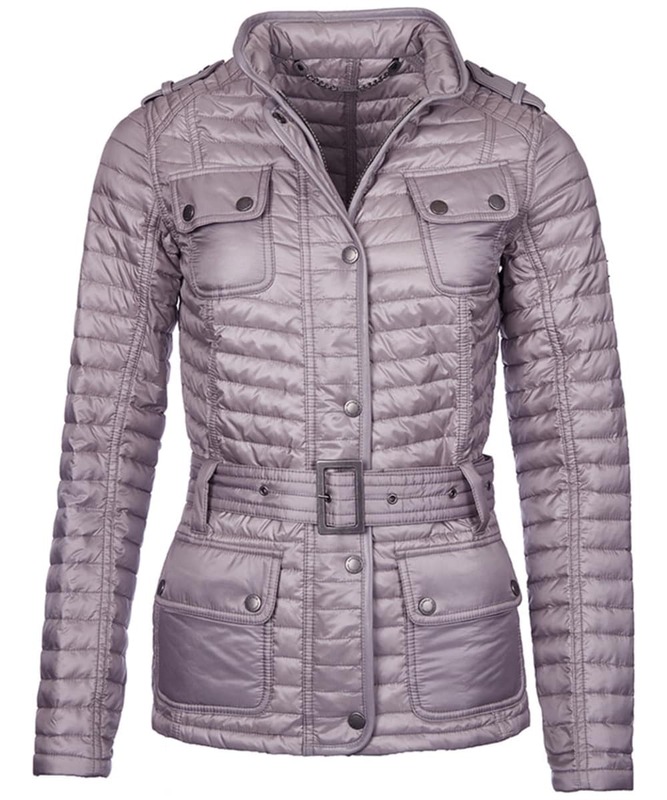 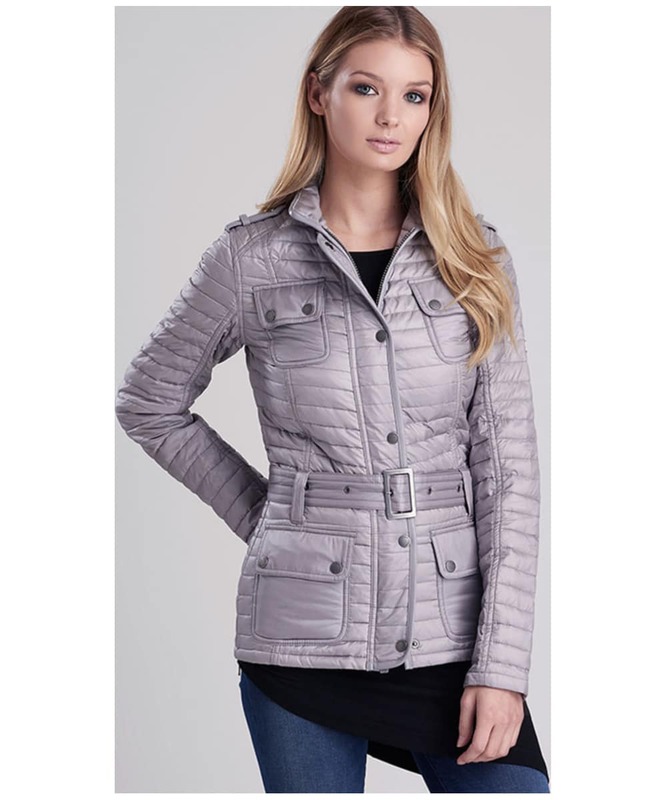 Create a stunning finish to your ensembles with the women's Barbour International Leaf Spring Quilted Jacket. 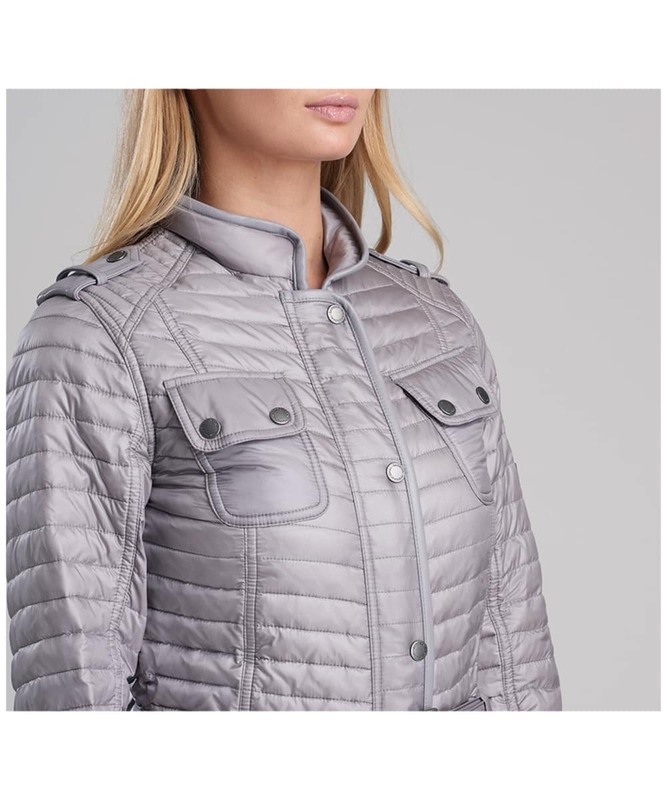 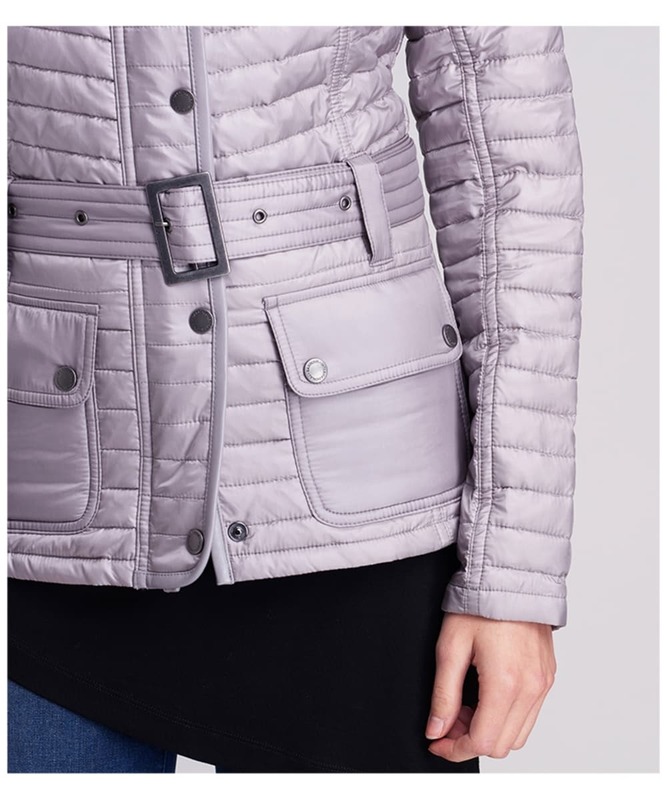 Featured in a simply gorgeous opal grey hue, this jacket ticks every box for style, function and practicality...all whilst referencing Barbour International's rich motorcycle history and thrilling inspiration in every detail. 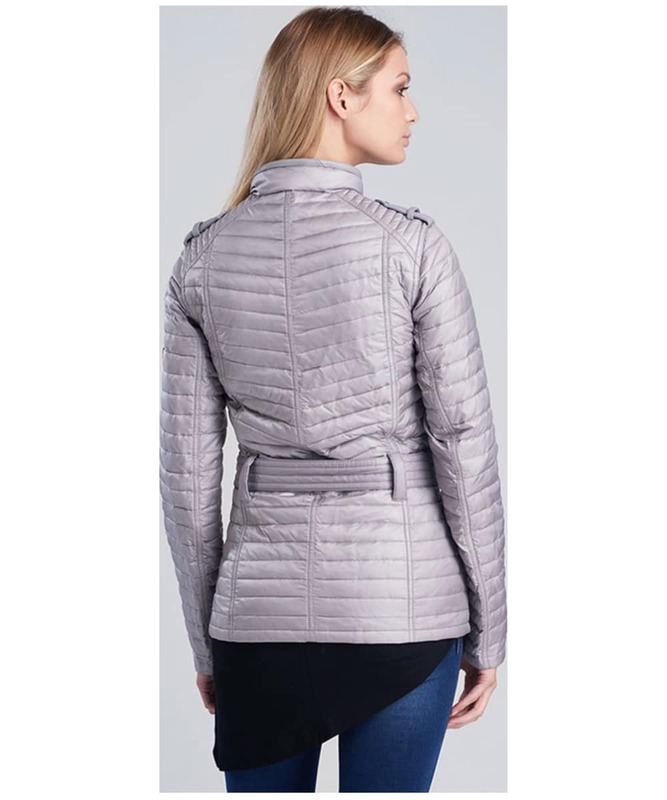 Crafted from a beautifully soft and lightweight fabric, it boasts a narrow chevron quilted stitch outer detailed with statement stud fasten pockets and a self fabric buckle front belt that enhances your silhouette no matter what the choice of outfit. 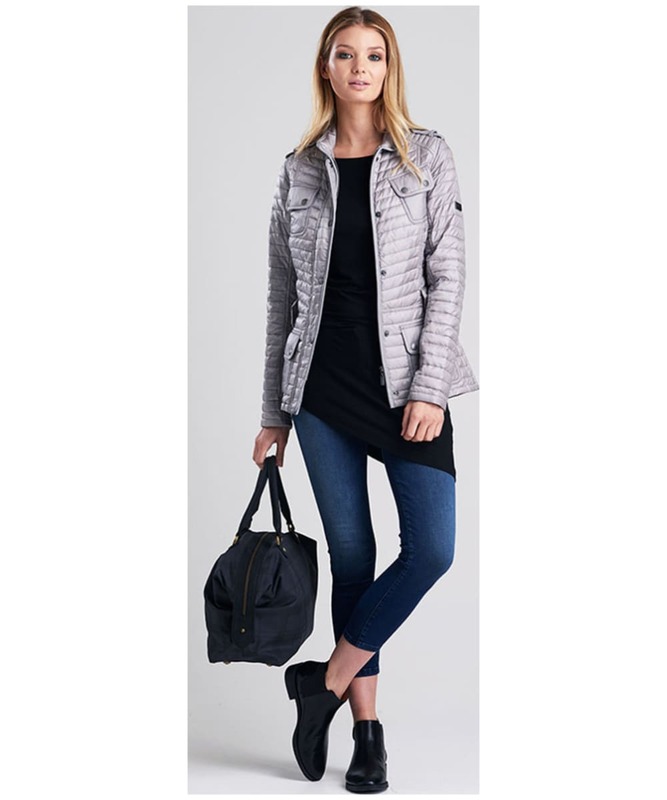 Stud flap pockets the upper chest and lower hemline provide that exclusive brand look as well as bringing a practical finish for expert everyday wear regardless of the occasion.